This enzymatic exfoliant for the body cleanses, tones and revitalizes skin. Skin is left fresh, younger-looking and more radiant. Natural fruit enzymes purify and regenerate. Volcanic minerals and Salicylic Acid clarify and exfoliate skin. Helps to even out skin tone and texture. Perfect for calluses or ingrown hairs. Apply to dry skin for 5 minutes then shower or rinse off. Distilled water, Hamamelis Virginiana (Witch Hazel) Extract, Milk Proteins, Jojoba Beads, Volcanic Minerals, Sucrose Stearate, Amino Acid Surfactants, Salicylic Acid, Fruit Enzymes, Mentha Piperita (Peppermint) Leaf Extract, Citrus Medica Limonum (Lemon) Peel Oil, Pumpkin (Cucurbita Pepo) Seed Oil, Grapefruit (Citrus Gandis) Seed Extract. This body scrub is fantastic! The first time I used it, I noticed it removed almost all the dry, bumpy skin on the back of my arms and elbows. My skin has never been so smooth. The scrub has a mild minty scent and a thick, pasty texture. I rub small amounts all over my body, then leave it on for a few minutes. I then scrub it in one more time. This lets the fruit acids and the salicylic acid penetrate the skin and soften the dead skin so it rubs off easily. I started using ARCONA products on my face and I had such amazing results that I wanted to have the same benefits for the rest of my skin. This scrub exfoliates without being harsh or scratching my extra sensitive skin. The exfoliating particles are two sizes: extra fine diatomacious earth, and larger jojoba beads. I've been using it in conjunction with the ARCONA pumpkin lotion and my skin has never been so soft, even toned, and bump-free. These products seem to work together and enhance each others' efficacy. These are the only natural beauty products that deliver exactly what they promise. I highly recommend all ARCONA products! I was hesitant to buy because I didn't' see any reviews anywhere for this, but this is a fantastic body scrub!! I bought it to compliment my Arcona Solution on my back/chest at night and using the scrub in the morning (as they recommend for the face). This scrub is a quite abrasive with thick granules but doesn't feel harsh on the skin. Just use it gently. It's smells awesome (kind of minty) and is incredibly effective at exfoliating. My skin is amazingly soft afterwords. 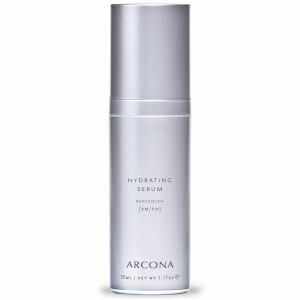 Was worried it would be too hard on my sensitive skin, but like all other Arcona products, it's fantastic. Highly recommend.